I love action shots (as you can probably tell by now). This is another shot captured at the Sugar Bowl in New Orleans and features Gator Tight End Jordan Reed. Reed leapt into the air to score a TD. If you look closely you can see I captured the ball in midair as well. 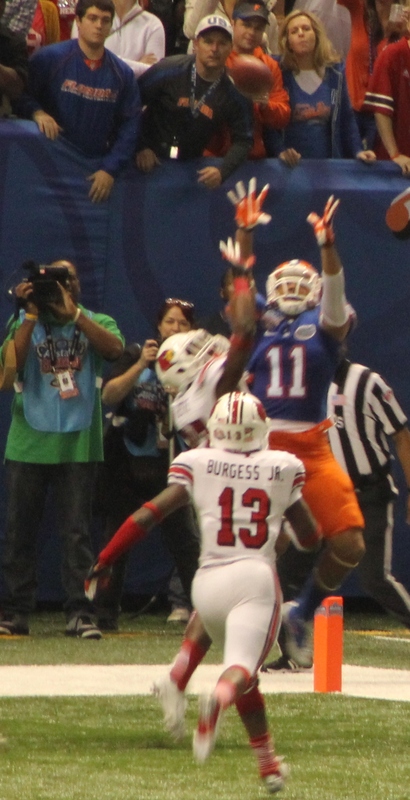 Unfortunately, it wasn’t a completed pass, but nevertheless, I love this photo and will love my Gators anyway.